All students in grade 11 will be participating in the Smarter Balanced Assessment in English Language Arts and Mathematics. Part 1 of the assessment will take place on Tuesday, April 16th from 8:00 - 11:45. Bus pick up will be at 12:00. There will be no school for students in Gr. 9, 10, and 12. Read full story for more information. 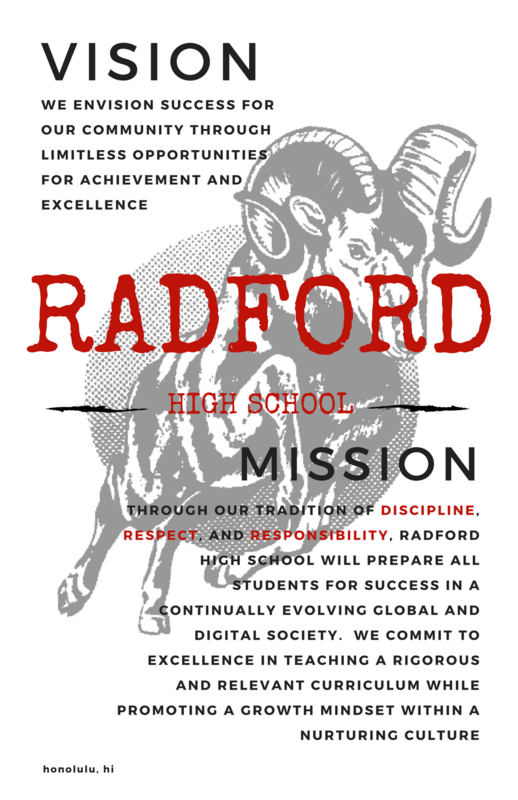 We would like to welcome back our returning and new students and families to Radford High School. Our teachers and staff are excited about the new school year and we look forward to seeing the growth of our students and your children as we embark into the 2018-2019 School Year. 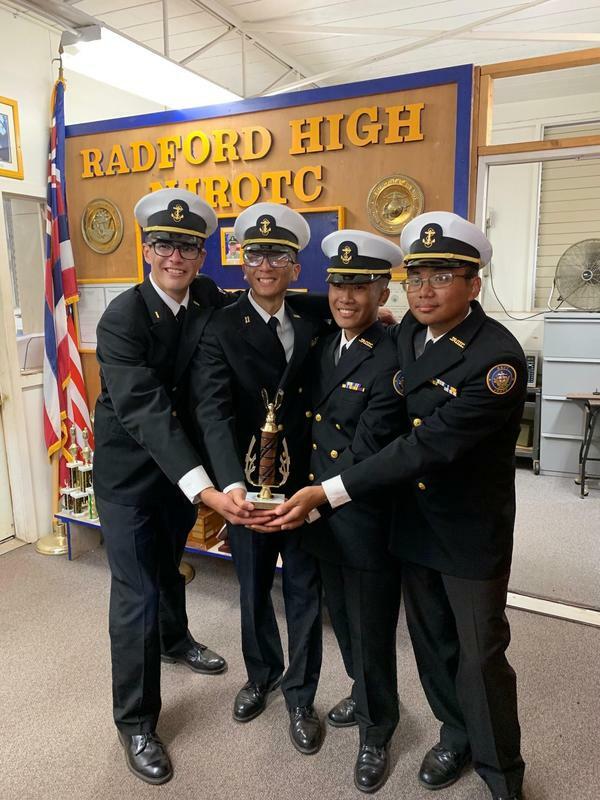 This past Saturday, the Radford NJROTC drill team competed in the Pacific Area Championship drill meet at Wheeler Army Air Field and took home the overall Championship trophy for the first time in school history! 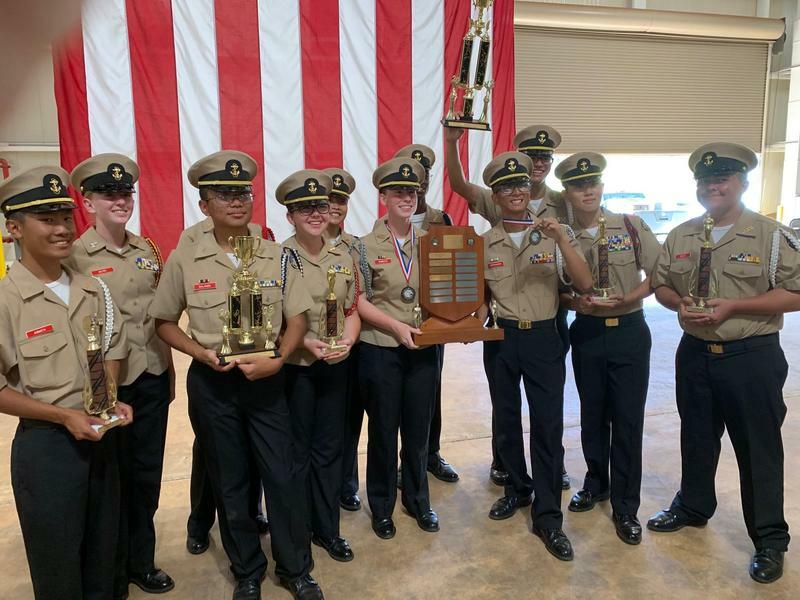 The drill team competed against all the other Hawaii JROTC units on Oahu and surrounding islands, off-island units and units from Japan and won first place in the following categories: Armed Overall Drill Team Armed Inspection Armed Exhibition Armed Regulation The Drill team placed second in Unarmed Regulation. Congratulations RAM Battalion! Radford will be hosting Summer School this summer from June 5th-July 3rd. Registration information can be picked up in the Counseling Center and Front Office. Please see your counselor or Ms. Johnstone in the Counseling Center for more information. The first day to register is April 22 from 3-5:30pm. As of Friday, March 1, we will be accepting CASH ONLY for any school payments (e.g. lunch, bus, miscellaneous school activities, summer school, field trips, etc.). Thank you for your cooperation. 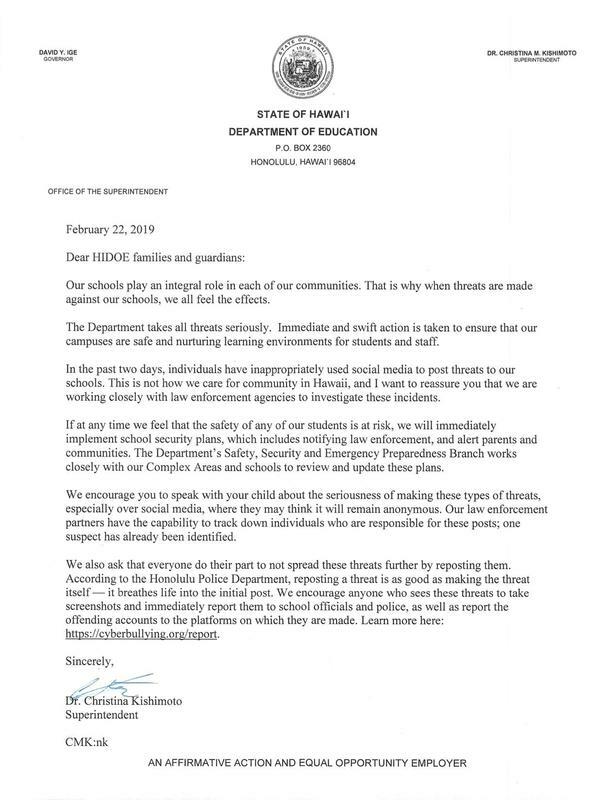 Please see Superintendent Kishimoto's letter to families and guardians regarding the safety of our schools. 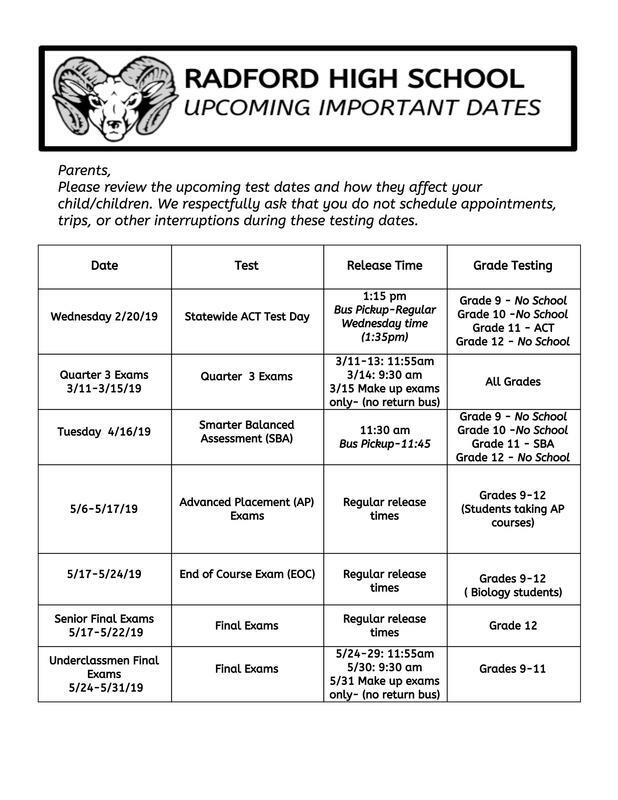 Please plan ahead for upcoming testing dates that will impact school schedules.